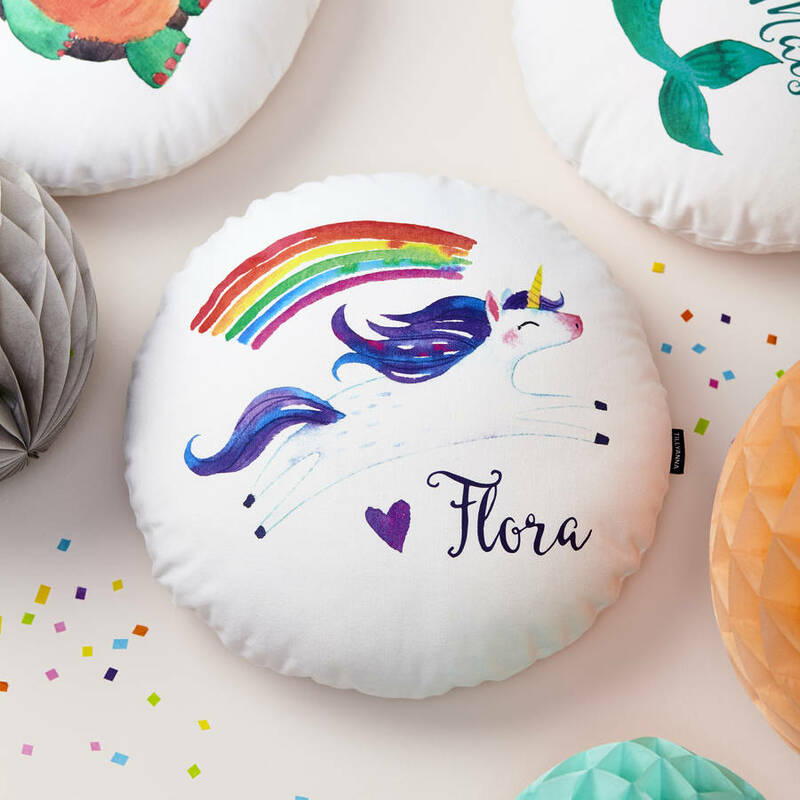 A personalised unicorn cushion by Tillyanna. Because every girl loves unicorns! The perfect for birthday and christening gifts, these look lovely in children's rooms and nurseries. 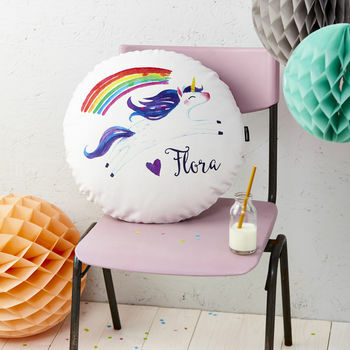 This cushion can be personalised with any name as per the images. We are able to provide customised cushions within very short lead times as corporate gifts, please contact the seller for more information via the 'ask seller a question' button.